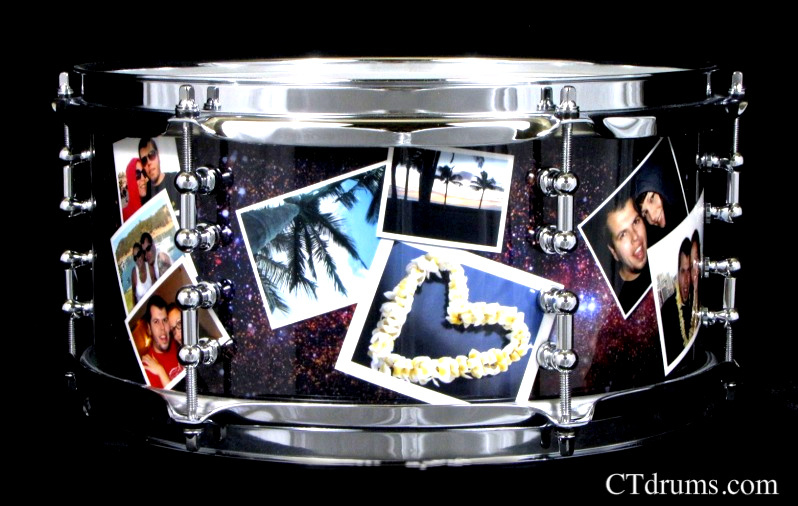 Thinking of a special gift for a musician? Or a memorable mantel piece? 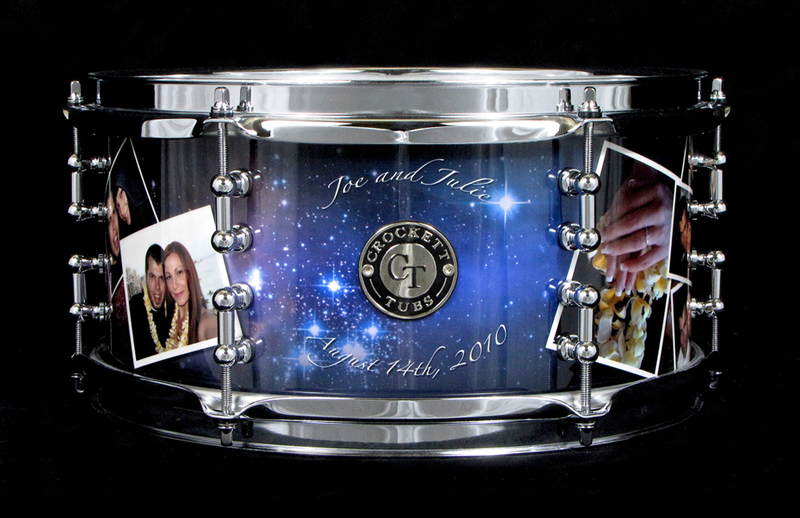 We built this for our good friends Joe & Julie Webb as a surprise wedding gift. 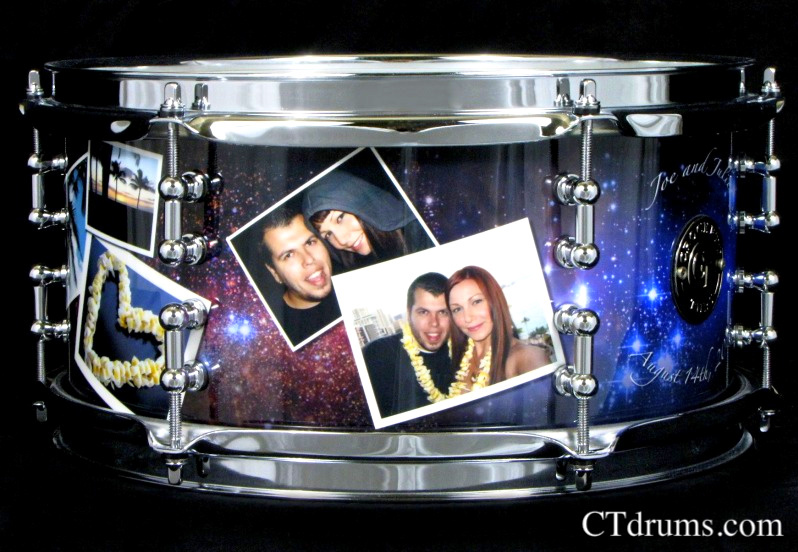 This utilizes our specialty graphics and is a great example of our custom wraps. 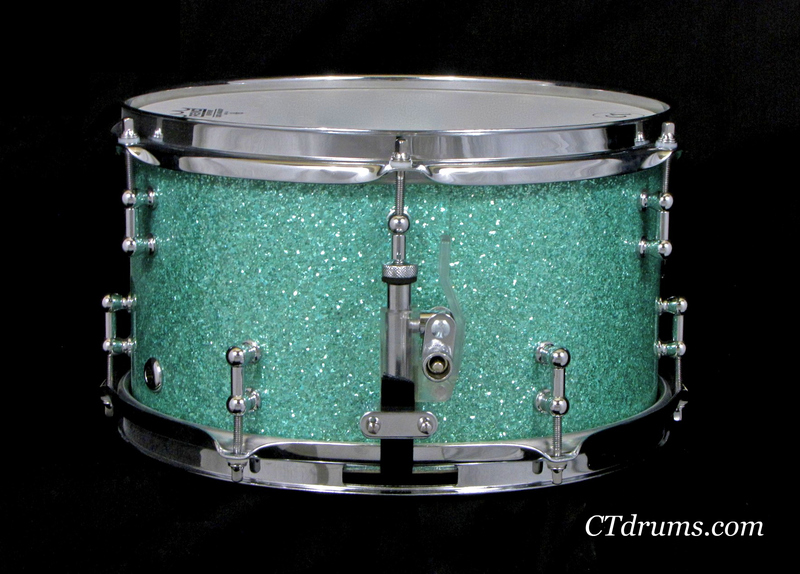 A special 6×12″ maple 6ply shell with split (top and bottom) 1″ mini tube lugs and 2.3mm triple flanged hoops. Congrats guys!!! 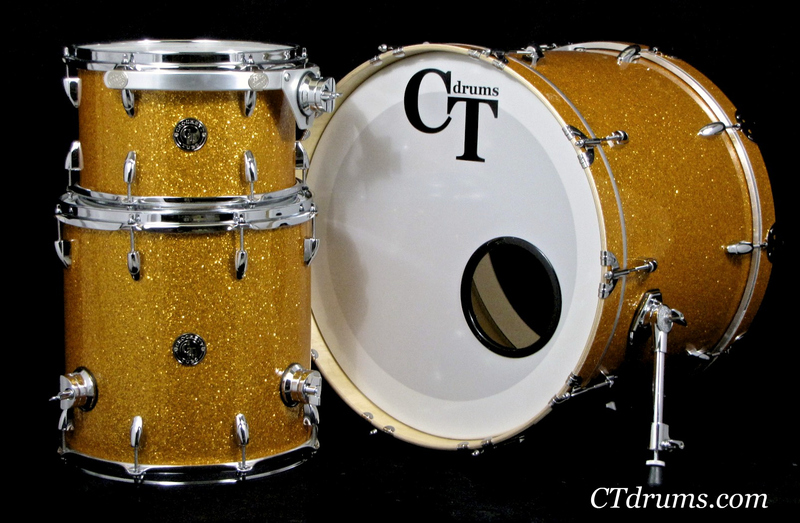 This is the second kit we did for Todd Hurley. Finished in a custom stain we blended in house with our satin oil topcoat. 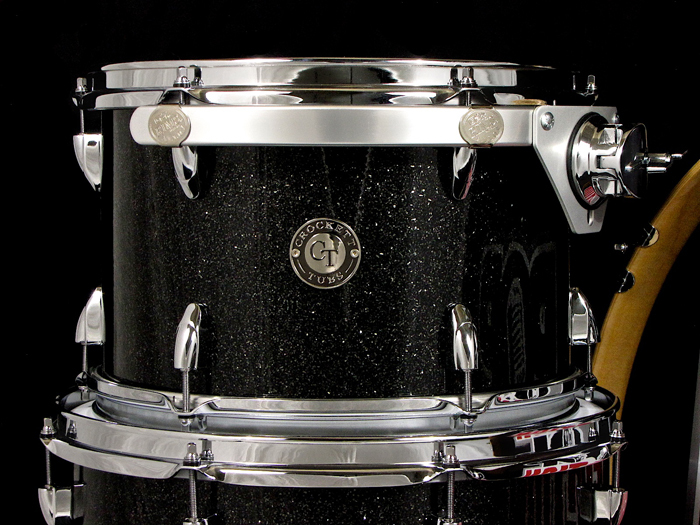 These versatile sizes and our Standard Series shells allow any style of tuning, drumhead preference, or for recording or live use. 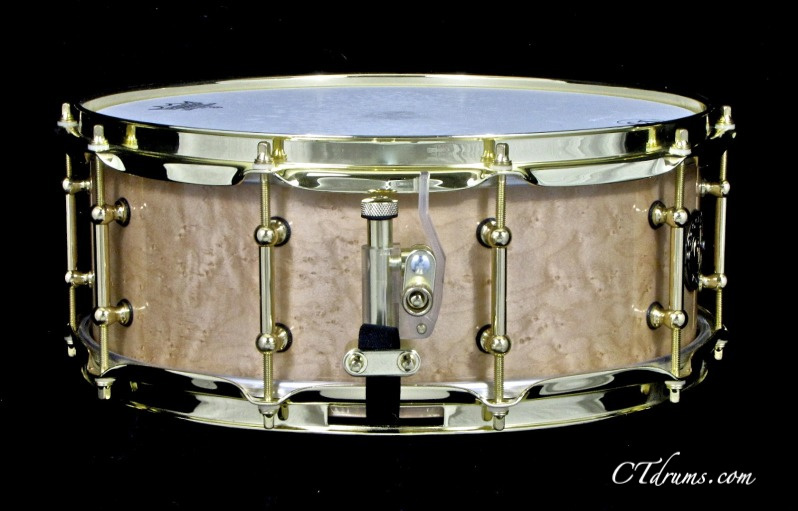 Featuring round Hayman lugs, 2.3mm triple flanged hoops, DSS suspension tom mounts, drilled floor tom legs, heavy duty round brackets, pro spurs, and rounded butterfly claws. 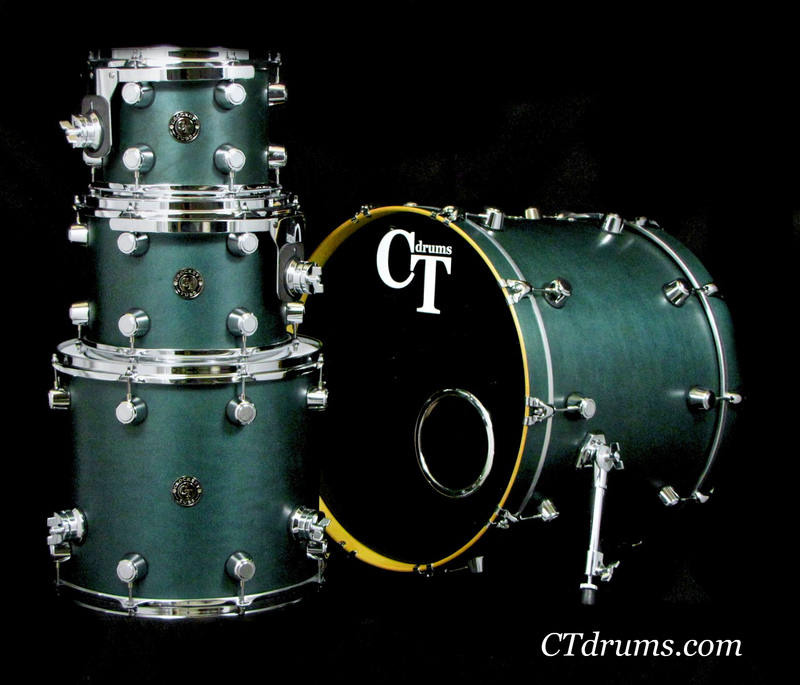 Sizes are 8×10″ tom, 9×12″ tom, 14×16″ floor, and an 18×22″ kick. 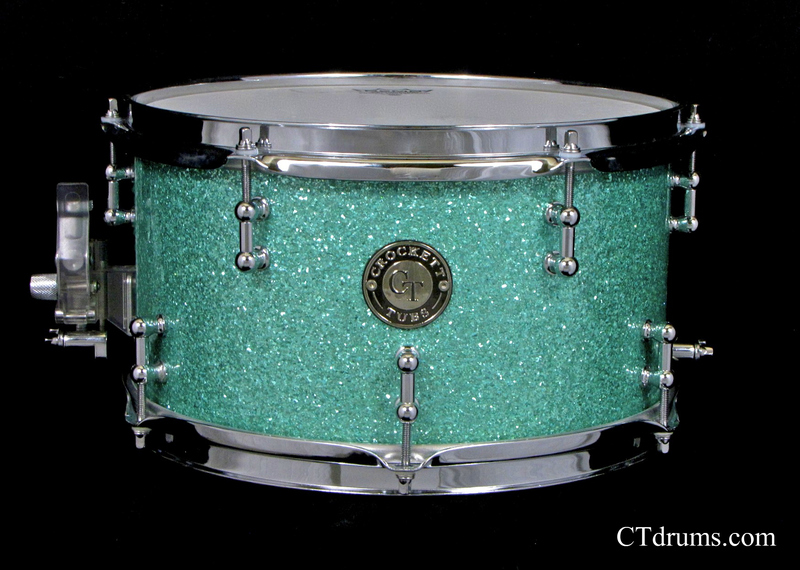 One of our favorite colors that is just too under-used. 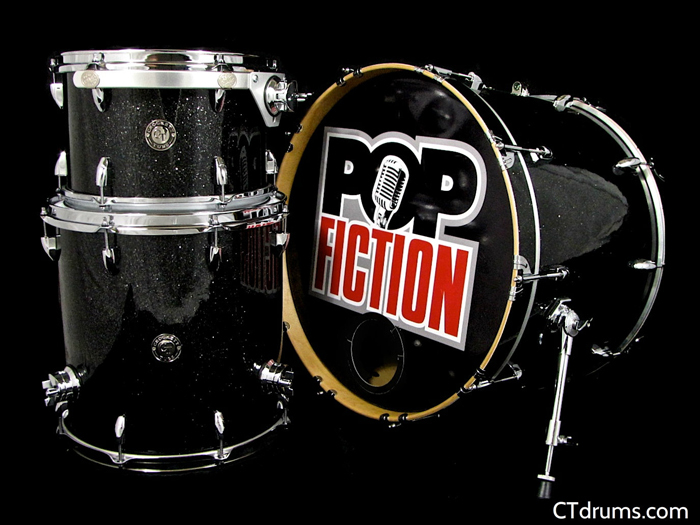 This Standard Series 3pc kit wrapped in Gold Glass Glitter fits perfectly for our customer, JOHN MESSIER, who plays in the high energy band POP FICTION that sports some of the top dance, pop, rock, and plenty more music from the past 6 decades. 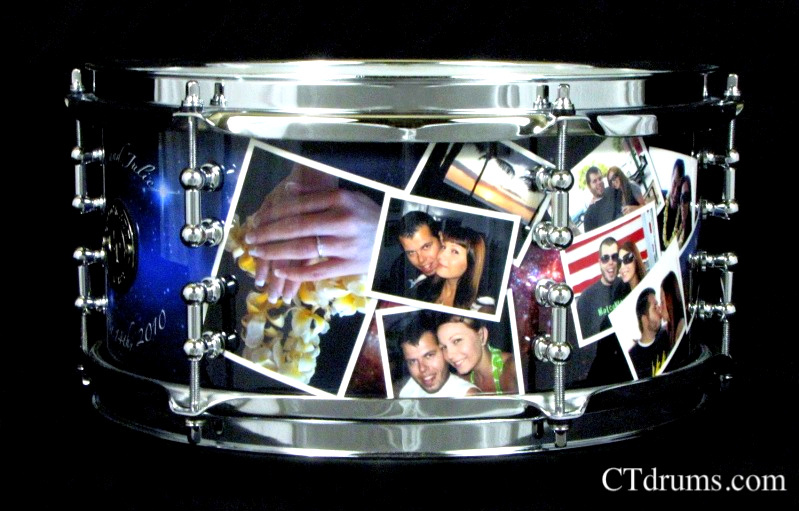 They are one of the top gigging cover bands in the greater California area. This kit features chrome tail light lugs, an upgraded aluminum Gauger suspension tom mount, vintage style butterfly claws, pro spurs and heavy duty round brackets. 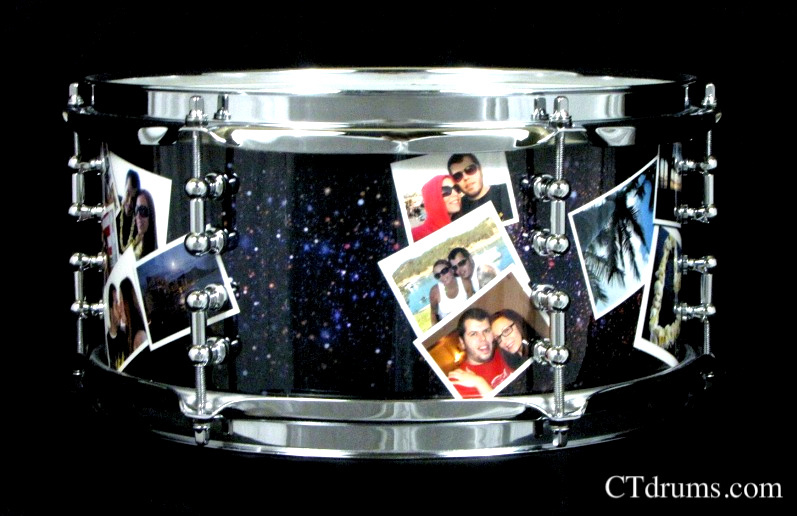 Sizes are 8×12″ rack tom, 14×14″ floor tom, and a 16×22″ kick drum. 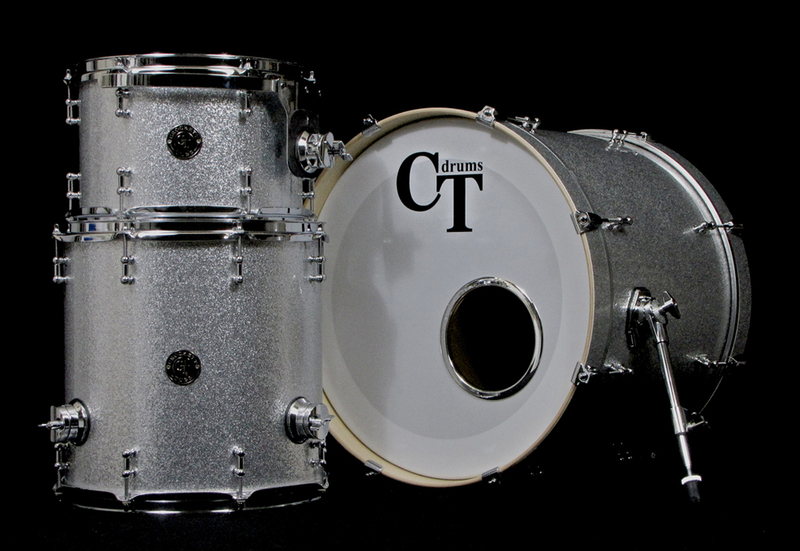 We built this kit for Joe Glaser of the band Alma Desnuda, a very eclectic band that is passionate and soulful in spreading great music and energy. 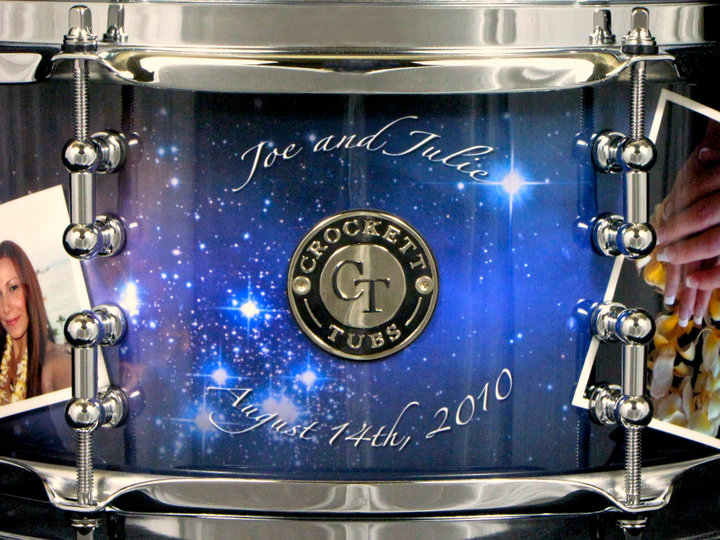 Joe had specifically asked for a light weight gigging kit as they are on tour most days of the year and with smaller sizes as he plays a hybrid kit of percussion instruments and drums while sitting on a cajon drum instead of a drum throne. 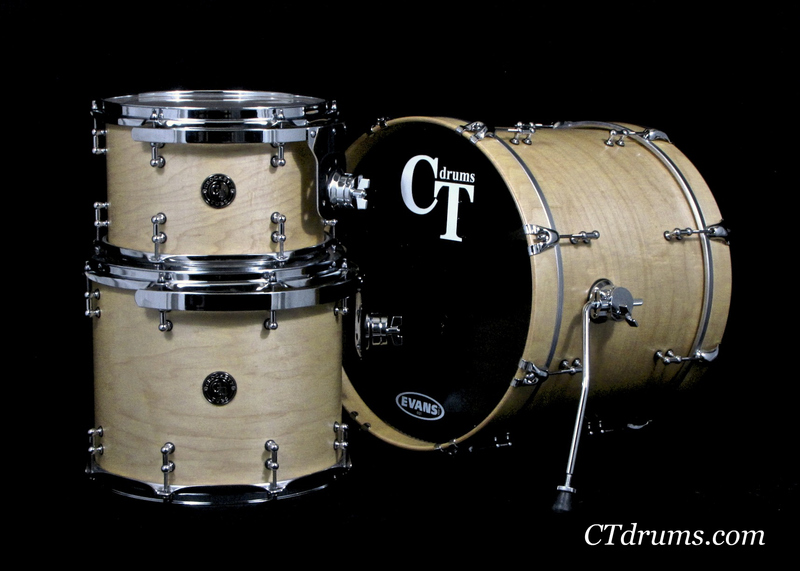 We built this kit using our Standard Series maple shells in smaller sizes as they would have a rounded, full tone and wide tuning range. 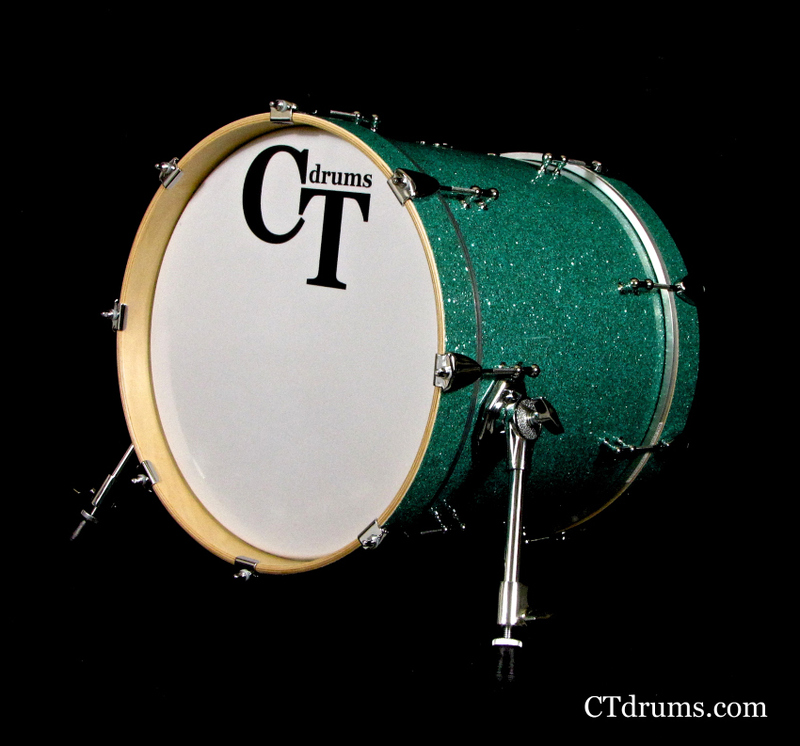 Also we used the lightest parts available while also being highly durable and functional so that kit could be easily transported across the US and travel overseas on tour. 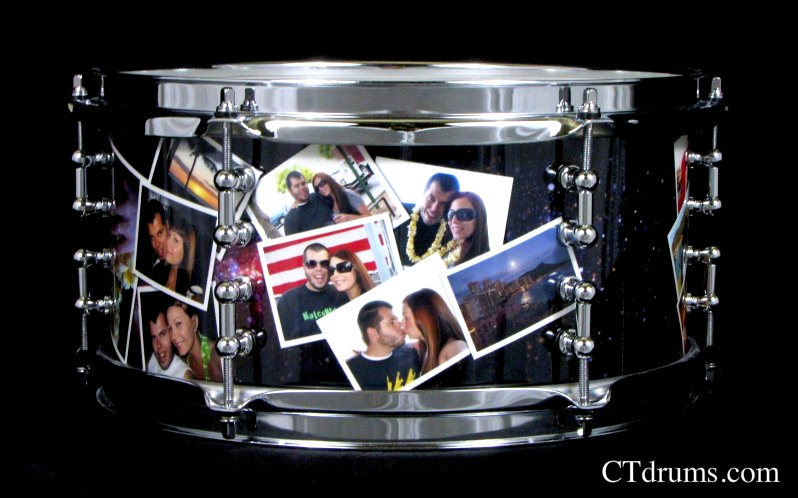 Sizes include 8×12″ tom, 12×14″ tom, 14×18″ kick drum. 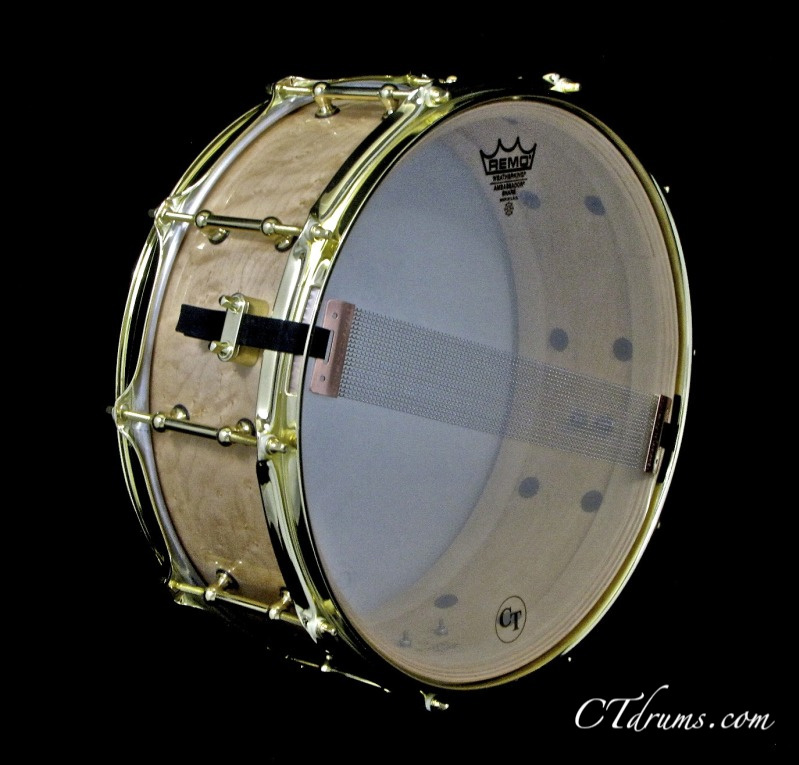 Hardware includes 1″ mini tube lugs for minimal shell contact and durability, 2.3mm triple flanged hoops, DSS suspension mounts, heavy duty round brackets, and vintage style folding spurs as they are a third the weight of standard pro spurs. 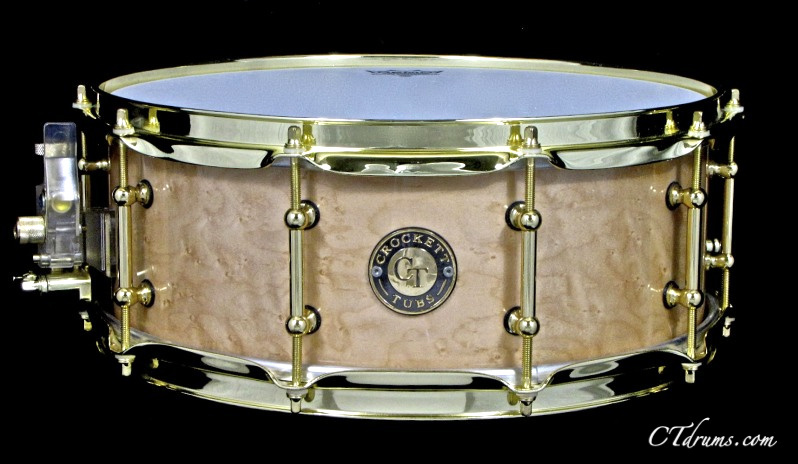 We also later made a matching 5.5×14″ Standard Series 8ply maple snare.